What do you do when you have been talking about this thing and people don’t seem to notice? Throw in a carrot, see if they will look at it with a different eye. Microsoft did just that, threw in a carrot that is Bing Rewards. They made it available for Android and iOS first. Okay, see what they just did there, even a Windows feature comes to Android and iOS before Windows Phone, and then we will all applaud when it’s finally on Windows Phone. 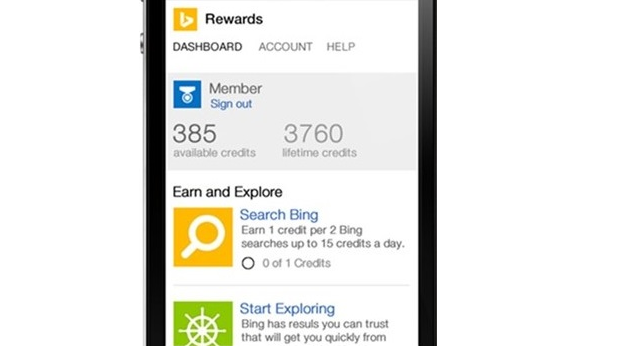 Now that aside, Bing rewards wants mobile users to use more of Bing search engine, people use Google by default. Microsoft says on the Bing blog that the rewards are credits for online stores and brands like Amazon, Xbox, Skype, Fandago and Dominos. This is going to run for several months. Next articleSatya Nadella to be Microsoft’s New CEO?